A developer doesn’t have to reinvent the wheel when creating a sequel to a popular game. That’s not to say that a developer can’t learn from previous efforts, building on what worked while discarding the rest. Just that their sole reason for making a sequel shouldn’t be to outdo what came before; if they focus on telling the best story or developing the best experience possible, they’ll naturally make a better product. This seems to be the case with Tango Gameworks and their Evil Within series! 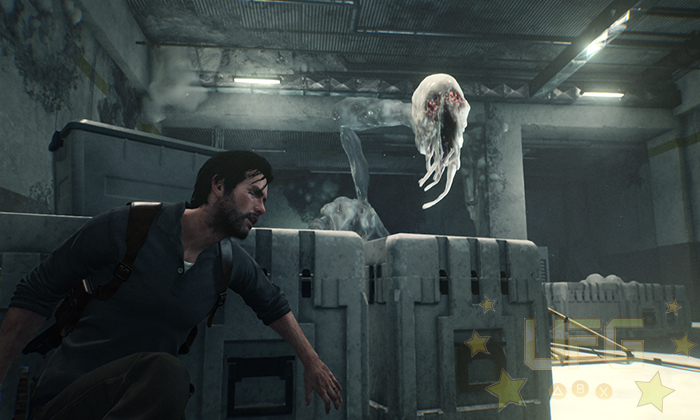 The Evil Within 2 opens with a dream sequence – our protagonist, Sabastian Castellanos , relives the house fire that resulted in the death of his daughter and disappearance of his wife. Moments later he is seen awake, drinking his sorrows away in a seedy looking bar. Three years have passed since the Beacon Mental Hospital incident. In that time Sebastian has done all he can to track down the shadowy organization called Mobius. Like Jill Valentine trying to warn people about Umbrella, no one believed his claims; his superiors thought he went crazy, which is why he’s no longer employed. Things couldn’t get much worse. That is until his former partner and Mobius double agent Juli Kidman walks into the bar. As you can imagine, Sebastian wasn’t happy to see her. The only thing that saved her from a bullet was the revelation that Sebastian’s daughter Lily was still alive. Mobius faked her death in order to cover up the apparent kidnapping – she was to be used as the Core for a new STEM system. STEM is a device that allows for a shared consciousness experience, where a Core (the mind of one individual) is used to create a virtual world. Similar to the Matrix but shaped by one person. Unfortunately, these artificial environments can be altered by individuals with strong mental capacity, specifically those of the psychotic nature. This explains how Beacon was transformed into a hellish place filled with monsters. Apparently, this is also happening to Union, the town created by Lily’s mind. Things seem worse this time around though. 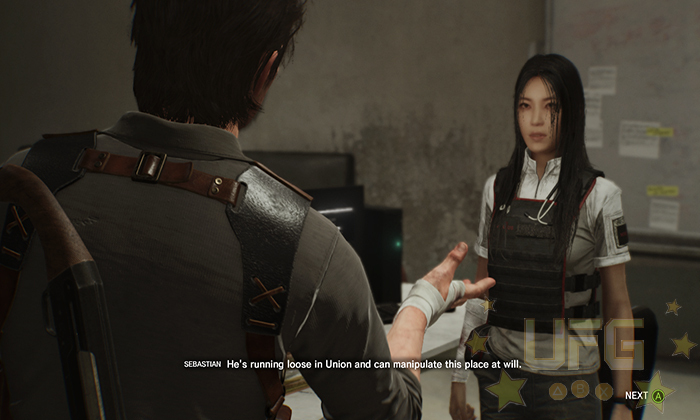 Lily has gone missing and Mobius has lost contact with their operatives that went into Union to retrieve her. This is where Sebastian comes in. Mobius wants him to head into the deteriorating town and find Lily before it’s too late. The plot is rather intriguing despite following a familiar path. A secretive corporation’s experiment goes awry, besieging a small town before rendering it to ruins. At the center of the chaos is a small child; she appears to be the key to combating whatever is causing people to turn into the Haunted (fast moving zombie-like creatures). I can name more than a few games with a similar tale. Thankfully, there are unique elements sprinkled about that help to elevate the story above the been-there-done-that feeling. Interesting characters are abundant in this installment. Some are psychotic, and therefore have the ability to twist and bend sections of Union into corrupted extensions of themselves. Whatever the case, everyone is looking for Lily. Being the core, she can unlock a path leading to freedom, boost a person’s powers within Union, or worse. What ties these people together (besides Lily) is how they all seem to be suffering in one way or another. And because they are all trapped in Union, these issues can literally manifest right in front of them. This is true even with Sebastian. His feelings of guilt and regret weighs heavily on his shoulders, giving a certain antagonist a means of manipulating him. Aside from some odd choices, the story is mostly solid/easy to follow even if you’re new to the series. I for one, really enjoyed how things played out. Especially with Sebastian, who somehow grows as a character despite not having much of a personality. Though his dialogue leaves much to be desired, his eventual reunion with select characters is heartfelt; he goes in with all of this baggage and comes out better on the other side. It’s an emotional ride to say the least. The plot isn’t the only place to learn about these characters. The environment is just as important in conveying what went down in Union. Which brings me to a concern I had before starting up the game. Just how convincing would this new world be considering I know that it’s a simulation? I mean, for the first game, there was no notion of STEM early on. Things felt real for the lack of a better term. There was also the fact that Union is mostly an open environment. The claustrophobic corridors of Beacon Hospital and odd village-like surroundings have been replaced with store fronts and lawn ornaments; there are some interior locations that are similar in design but for most of the game, I was out in the open. To my surprise, Union is a worse place to visit than Beacon (but in a good way)! The streets aren’t exactly littered with the Haunted…at least not early on. There are pockets of them, usually surrounding an overturned car – feasting on the remains of a Mobius solider – or wondering through someone’s backyard. This perpetrates a false sense of safety. If I stay clear of the mob, I’ll be fine. Not true. Tango made sure to place these horrid individuals in the sneakiest of places. There was one time when I was making my way past a group of them. I noticed some weapon parts by a parked car. Thinking I could grab them and quickly upgrade my pistol, I wandered over. As soon as I got near them, a Haunted woman crawled from underneath the car. I panicked, firing off a few shots (missing all of them) telling the rest of her kin that a human was nearby…I died seconds later. The Haunted would burst through doors, crawl from under things, and just seemingly pop up out of nowhere. This uncertainty made me second guess exploring my surroundings. “Do I really want those bullets? That corpse over there looks shifty.” I made sure to keep quiet, ducking behind cars and darting down allies – the game didn’t have to force me to play stealthily. Even in the daytime, I was uneasy about being out in the open. Things really got crazy after completing a certain side mission. Using Sebastian’s communicator to pick up radio waves, I was able to find an echo or a past event that’s been “burned” into the environment. This person’s echo made mention of a ghostly presence that haunted her. Minutes later I was transported to an abandoned hospital and hunted by a giant apparition named Anima. I managed to escape that place, landing back in Union, but the ghost followed. I’d occasionally run into her hours later; the temperature would drop and I’d be shrouded in fog. I’d then hear her humming Clair de Lune as she slowly walked around, her footsteps shaking the ground. 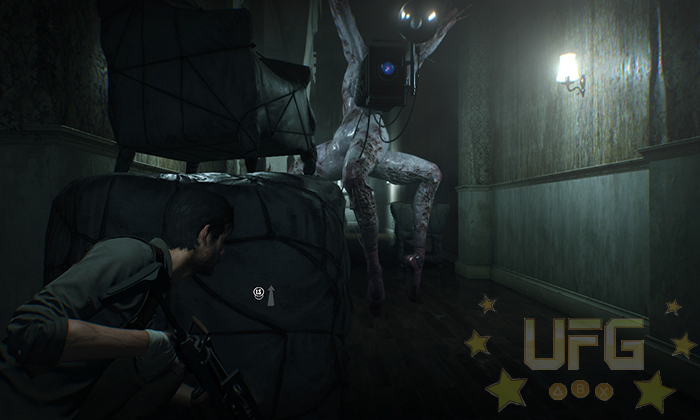 The Evil Within 2 has some of the most grotesque looking creatures in survival horror. One of which, the Guardian, assembles herself using multiple dead bodies – not body parts, but whole bodies sewn together to form her torso and limbs. The good news is that Sebastian has dealt with this sort of thing before. You can silently take down the Haunted by sneaking up on them, something I’d recommend. Icons representing sound and sight indicate how alert your enemies are. If seen, your best bet is to deal with them quickly (so they don’t alert their friends) or run. Actually, running away is a viable option in most situations. In some cases though, you won’t have a choice as a few encounters will require you to fight swarms of monsters. Smart use of the environment will help mitigate your dwindling resources. Kicking over a barrel and shooting the oil that spills out will engulf nearby enemies in flames while firing electric bolts into pools of water will stun them. Though I was cautious when it came to exploring Union, it was still necessary to search for resources. Things like bullets or health syringes are hard to come by. That said, if you find enough weapon parts, medicinal supplies, and other materials, you’ll be able to craft needed items at various crafting tables (located in safehouses). It’s possible to craft when out and about, but you’ll use more resources when doing so. Deciding whether or not to wait till you get back to a safehouse before crafting can be tough. Especially if you’re a long way off from the nearest one and your path is blocked by the Haunted. Deciding how to level up Sebastian is also challenging. Though he’s an ex-cop, he isn’t in the best of health. His stamina is laughable, just like in the last game. Raising this stat is will allow him to run for longer distances. Adding more health will help him to survive more hits. 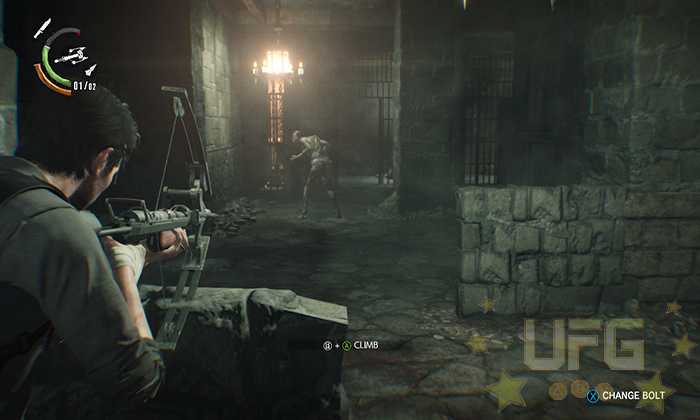 If you fancy being sneaky, you can increase his crouching walk speed or unlock the ability to pull an enemy from around a corner. This was came in handy during one awesome segment where the game went from third to first person. There are some skills you’re going to want to build up regardless, given how you level up. Killing enemies and collecting the gel they leave behind is the only way to do so. It might behoove you to better Sebastian’s aim for those times when stealth fails but you still want to score some gel. Surviving the horrors of Union can be tough. 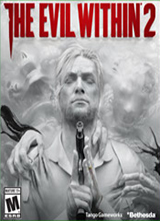 Thankfully, Tango listened to the feedback that was given about the first Evil Within. Unlike that game, you won’t find super frustrating sections that seem unfair; they designed this game with a decent difficulty curve that slowly ramps up overtime. They also added three different difficulty settings based on how you want to play. Maybe you’re just interested in the story and not the “survival” part or perhaps you want things to be insanely challenging, you can choose what’s right for you. 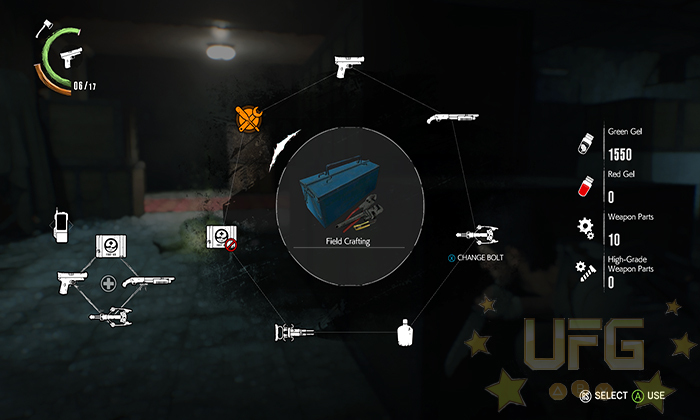 My choice was in the middle, which allowed for a tough experience with low amounts of ammo and such but nothing that would cause me to quit in a frustrated rage. 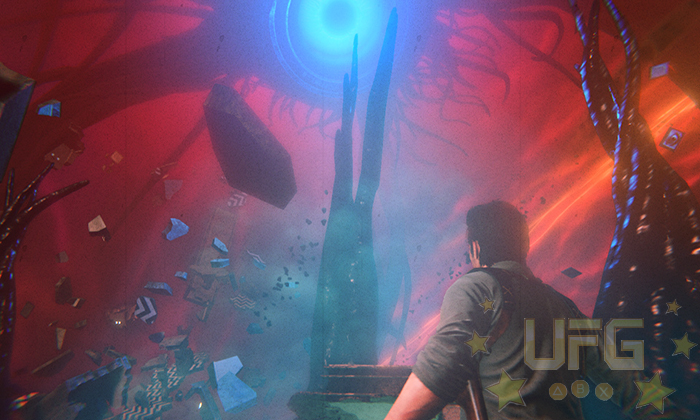 When it comes to survival horror, there hasn’t been a sequel that totally eclipses its predecessor like The Evil Within 2 does since Resident Evil 2. I don’t say this lightly. It’s understandable if this statement is taken with a grain of salt given how critically acclaimed the original Resident Evil was; Tango’s title was nowhere near being as genre defining as that title. Still, this herculean jump in quality is the closest we’ve gotten to matching what happened when RE2 was first released! The Evil Within 2 is much better than its predecessor. Its plot has a few wonky parts and there is some padding towards the end though. Most of the time, things look great. A few close ups reveal how bad some of the characters look at times though. A great use of ambient sounds helps sell the horror. The dialogue, sound effects, music…they aren’t bad either! The multiple difficulty settings, unlockable modes, and the new game plus offer enough reasons to return to Union.